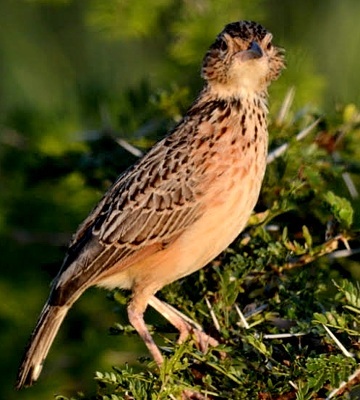 The red-winged lark is a northeast African endemic which may be seen in north central Tanzania. 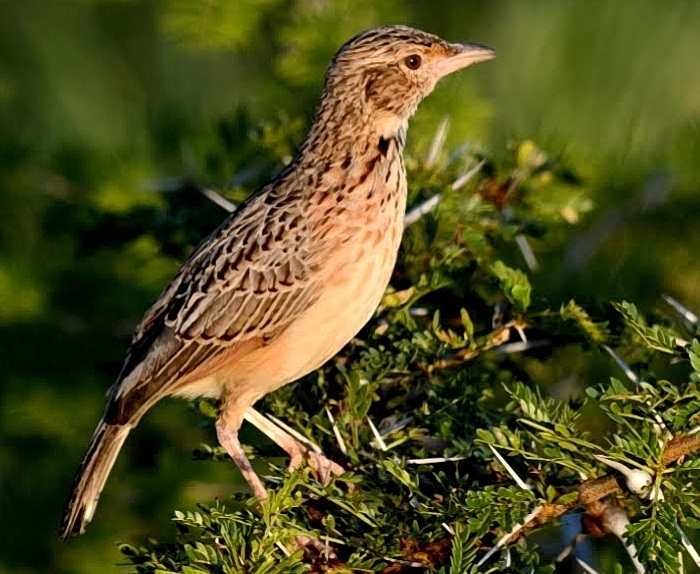 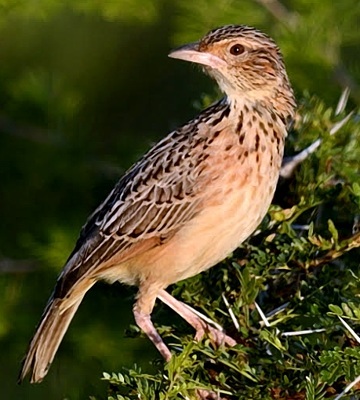 It is similar to the rufous-naped lark, but larger with a longer tail and dark patches to the sides of the lower neck. 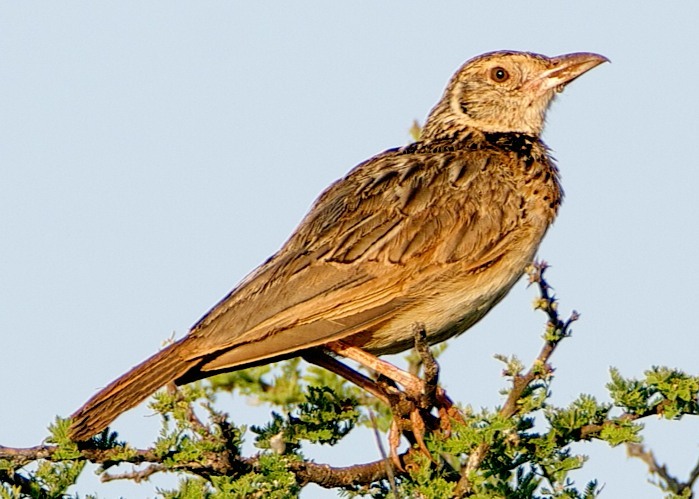 The bird in the upper three photos was seen in Mkomazi NP (3-16); the lower, in Meru NP (Kenya, 3-13), courtesy of Mike Graham.